These primitive Candy Corns are a perfect addition to any mantel or Fall centerpiece setting! 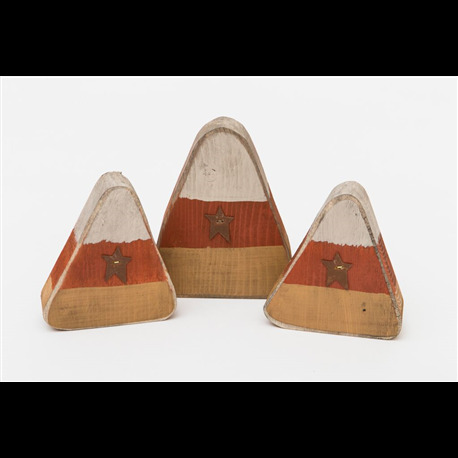 These are primitive in their look and each one features a rustic star in the center for added personality! 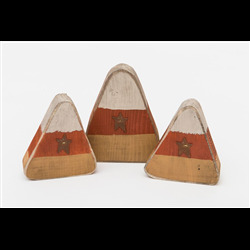 These candy corns are made of substantial pine wood and will not disappoint! Add rustic charm to your home this holiday season with this handmade, primitive Set of 3- Chunky Candy Corn. Display on your Table Top, Mantle or Porch. Crafted by Pennsylvania Amish.